ST. GEORGE — A program is helping Native American youth from Southern Utah explore their roots while accruing practical career skills. 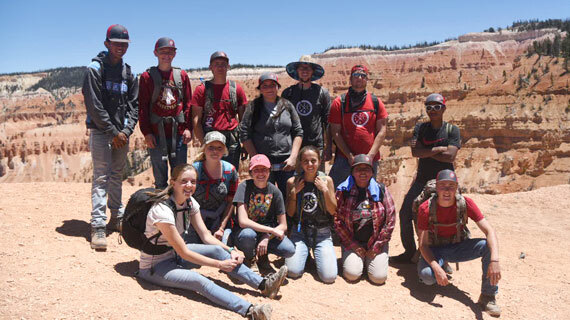 Southern Utah University’s Outdoor Engagement Center and several land agency partners are working together to engage 66 youth and young adults as part of the Ancestral Lands Program, a nonprofit conservation program that operates nationally in an effort to connect Native Americans with their ancestral lands. This year, participants are working to complete conservation projects in various public lands and parks, such as Grand Staircase Escalante National Monument and Bryce Canyon National Park in Utah and Jacob Lake and Pipe Spring National Monument in Arizona. One group of youth has already completed a summer internship, and a fall internship is currently underway. “This is one of the coolest youth engagement endeavors we’ve done. We hope it will lead to stronger relations with the tribes and national parks in Utah,” said Briget Eastep, director of Southern Utah University’s Outdoor Engagement Center. Participants work on a variety of projects that help them accrue practical skills, including fencing, trail maintenance, revegetation projects, sign installation, invasive plant removal, naturalizing archaeological sites, painting and seeding. Some of the programming includes more advanced work, preparing interns for possible careers in conservation. The program also encourages exploration of the many scientific fields that go hand-in-hand with public lands management. Participants say the program has helped them gain a greater appreciation for the many public lands in Southern Utah and northern Arizona. Perhaps the most important component of the program is the opportunity it gives Native American youth to connect with and provide stewardship over their ancestral homelands. “Being Native American, I feel the Ancestral Lands grant program is important because it helps support the land our culture believes is sacred,” said Faralene Williams, crew leader for the Native Americans participating in the program. SUU’s Outdoor Engagement Center hired interns from Cedar City, Bullfrog and the Kanab area. The program is made possible thanks in large part to a $252,100 grant provided by the National Park Foundation. 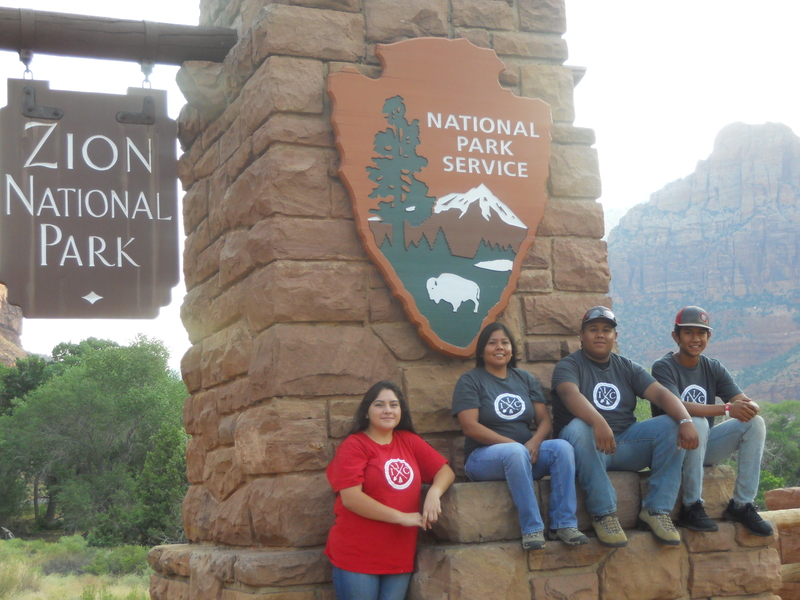 “It’s been a great collaborative approach between the National Park Foundation, who had a donor interested in employing Native American Youth in Utah,” Eastep said. Thanks to the grant’s funding, the Ancestral Lands Program will continue for at least a few years, Eastep said. Available internship opportunities can be browsed on the Utah Conservation Corps website.